The Z.Vex Hand Painted Fuzz Factory is a five knob fuzz pedal that can be used on both guitar and bass, resulting in interesting thunder boom synth qualities for both. All Z.Vex pedals are handmade and hand-painted so no two pedals are the same. The five knobs have the most control on the pedal. They are controls for various operating levels and biases, and basically shape you a personalized and unique fuzz. 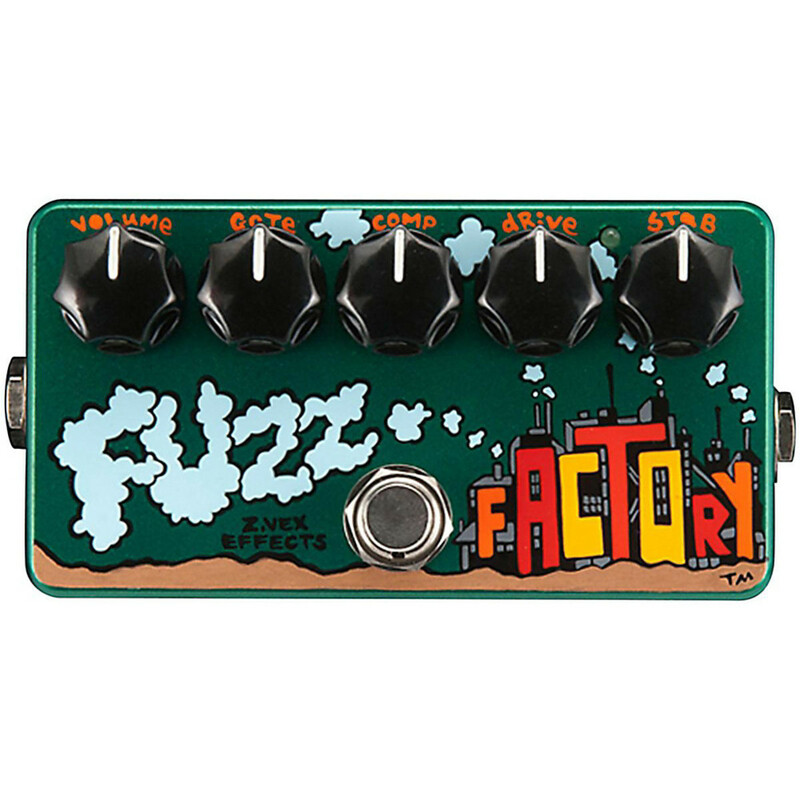 The Z.Vex Hand Painted Fuzz Factory is already very unique as every pedal is individually handmade and hand painted. Handmade and Hand Painted, no two are the same! Great for Guitar, Bass and Other Signals! Gate: Splashes noise after end of sustain. Turning the Gate knob to the right gets rid of squeals, hisses and buzzes that vanish just before stopping, you can also use it to tune in exact feedback pitch. Turning it left opens the Gate. Compress: When turned to the left the compress knob adds attack characteristics, which starts to get softer when turned to the right and unexpectedly tweaks the tone when turned all the way. Also use it to tune in fat feedback fuzz. Lower the Stability and see what happens to this control. Stability: Use the Stability turned all the way to the right. Do not attempt to adjust this control below 2:00, unless you like your fuzz soft and squishy. Use to control feedback pitch. Power Consumption: Z.Vex pedals use as low a current as possible, which significantly extends battery life. The 'On' current is less than 3mA, compared to the Tube Screamer at almost 40mA!